I am so pleased to introduce to you a new series that I have been slowly putting together over the past few months. The Wildness Tonic Essays is a collection of writings on the outdoors, and how being in touch with nature in a variety of different ways can bring us back to ourselves. First up, it's my dear friend Eva Maria Smith who has recently moved from her native Germany to Texas to follow her husband's career. I first connected with Eva on Instagram a few years ago, when her daughter Smilla was still a baby and I was pregnant with Rory. I'm endlessly inspired by her photography, her insightful words and her kindness and encouragement as a friend. If you don't know of her already, I know for sure you will be delighted to discover her now. The older I get and the more I spread my wings and open my mind, like the great branches of the tall pines reaching towards the sky, the more I feel my feet on the ground, my roots becoming more important to me and stronger than ever, just like the roots of the tall pines burrowing deep into the moist mossy soil of my forest. My forest – that is the stretch of woods by my parents’ house, my childhood home. If I have to describe it, I’d say it is the place of perfect green. Not the over-saturated green of fresh grass, but the rich mossy green, that is earthy and as honest as a color can be. My forest is not of spectacular size. It is not Montana, or Norway. Yet, it is filled with memories. It is the place that my parents strolled hand-in-hand as a young couple in love. It is the place that my mother gently rocked me along in her womb, while my sisters ran ahead playing between the pines. It is the place where I napped in my stroller, soaking up the fresh crisp air. It is also the place that I walked grumpily and complaining all the way as a teenager, when my parents “forced” me on a Sunday walk. It is the place where I walked with friends, walked with boyfriends, walk with my husband. The place I’ve always taken my daughter, rocking her gently in my womb at first, then carrying her in a wrap, then chasing after her. The place I’ve always taken my son, rocking him gently in my womb at first, and now carrying him in a wrap. Sadly, it is the place I photographed for my father’s obituary two years ago. It was his place first. A hunter, a mushroom gatherer, a man of nature, my father installed and fostered my love for the forest. Maybe that is why it becomes more important to me now that he is gone. It is a place to reconnect. Connect with nature. Connect with myself. Connect with the ghost of my father, who knows? The Japanese have a term - shinrin yoku (森林浴) – forest bathing. The intentional, mindful walk thought the forest that lowers blood pressure, reduces stress hormones, boosts immunity and the mood. Taking in the forest atmosphere improves the overall wellbeing. 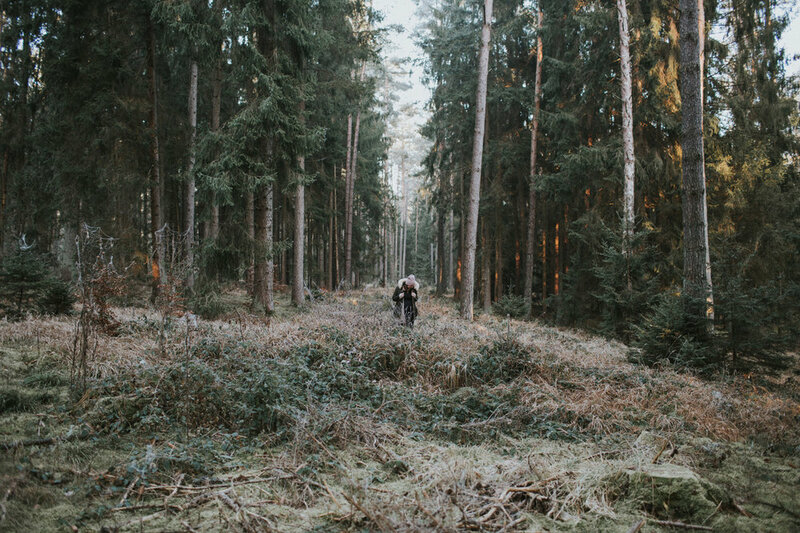 Research shows significant increases in human natural killer cell activity after forest bathing – lasting for up to a month. I have a term for that, too. “My forest”. Currently I live halfway around the world from my forest. I miss the green, the pines, the smell. I never know quite how much I miss it though until I set foot in it again. My forest means “home” to me. Just as my mother means “home” to me, or my sisters, or the house of my childhood. If a harvester came through and it took it all down, I fear my heart would be taken down with it. It took me almost thirty-two years to realize, that my forest connects me with my family, my home and my heritage. On a lighter note, my maiden name translates into “little tree”, and the town I grew up in roughly translated into “wooden home by the forest”. You see, maybe I didn’t choose my forest. Maybe I was born into it and it was meant to be my place all along. The place where I feel the calmest, the most at peace. My wildness tonic. 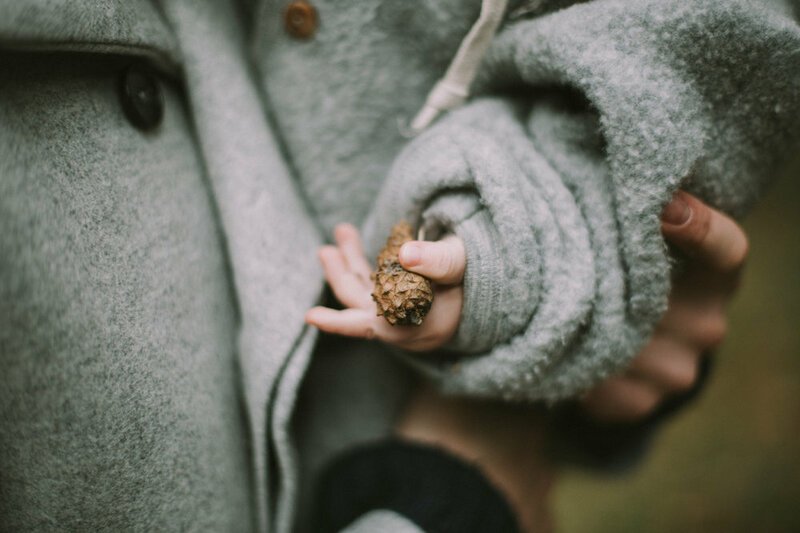 Eva writes more about life, motherhood and nature on her blog: House of Smilla. You can also find her on Instagram (@houseofsmilla). Thanks for reading, and if you enjoyed this post and want to find out more about The Wildness Tonic and how you can get involved, take a look here for more information.